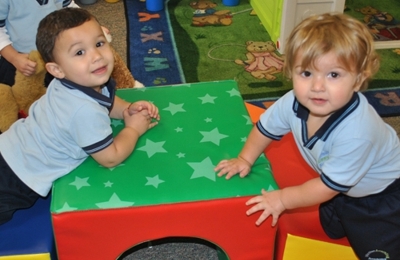 Education - Preschool for children ages 1 yr to 5 yrs old. Education, special activities, festivals, family events, music, and a lot more! Was looking for a preschool that wasn't about quantity and more personalized. This place is very family oriented and the super clean and new. They're a smaller place which was great for us because the kids got the attention they needed and didn't get lost in the mix! Best thing is they always greet us with a smile and always say to the kids by their first name as they walk in. I could go on and on, but we're very happy and highly recommend them!